P.K. 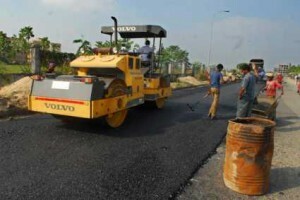 Sreemathy, MP, has said that the Central government sanction has been granted for her proposal for the INR 26.8-crore work for widening and renovating the road passing through the Kuttyattoor panchayat. She told a press conference here on Wednesday that the 18km road from Chelerimukku to Nayattupara will be renovated with macadam tarring. The people’s representatives in the respective areas through which the road passes are holding discussions with local residents on the implementation of the project, she said. The road development project is being implemented with the co-operation of the local people as there is no provision under the scheme for paying compensation for land to be acquired for the widening of the road. She also said that a meeting of officials and people’s representatives will be held soon to expedite the measures for starting the project. The MP also said that the Ministry of Shipping was positive to the proposal submitted by her and Kasaragod MP P. Karunakaran to extend the National Waterway to Kasaragod. She said that the extension will improve the inland water transport system and ensure a more efficient way of cargo movement without causing environmental pollution. She also said that she has proposed a temple tourism circuit in the district connecting major temples. Sreemathy also called for the development of a drainage system in the Kannur town under the Atal Mission for Rejuvenation and Urban Transportation (Amrut) Programme. Kannur is one the towns selected for implementing the project. The lack of proper drainage system is causing havoc on waste management in the town, she added. She also said that fourth platform in the Kannur railway station will be a reality soon as the Railway Ministry has assured her that the proposal will be announced in the next Railway Budget.